Dr. Michael Voight has had a distinguished career as both an educator and clinical physical therapist for over 30 years. Throughout his career he has not only become one of the leading authorities in the rehabilitation of orthopedic and sports injuries, he has worked tirelessly to advance the knowledge of others as a clinician and educator by making significant contributions to the literature. Presently, Dr. Voight the Director of Sportsmedicine at the Nashville Hip Institute and is also a tenured professor with Belmont University’s School of Physical Therapy in Nashville TN. He also holds a position of Adjunct Associate Professor in the Vanderbilt School of Medicine – Department of Orthopedics where he is the Co-Director of the Vanderbilt/Belmont Sports Physical Therapy Residency program. 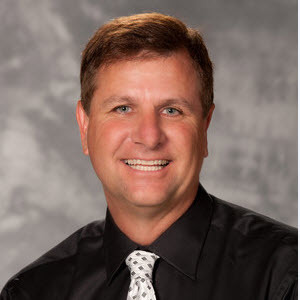 Dr. Voight has lectured extensively at various conferences, symposiums, and congresses both nationally and internationally having given over 850 professional presentations on a variety of orthopedic and sports medicine topics. Dr. Voight actively resides on the editorial boards of several different journals and is currently the Editor-in-Chief of the International Journal of Sports Physical Therapy. He has authored over 80 papers, textbook chapters on various topics, and has written three textbooks on functional exercise.